Whether you live in a small home or a big villa, your sewer system plays an important role in taking the drain away from your home and dumping it in the main drainage pipes. Under normal circumstance, you shouldn’t find any issues with your sewer system, but emergency situations always come uninvited. It is therefore a smart idea to get your sewer system inspected on regular basis to save yourself from those emergency situations which can be make your life miserable and even cost you a lot in financial terms. Although you may be able to find plenty of plumbing and sewer inspection/cleaning services in Seattle WA, Emerald City Sewer Inspection stands apart from the rest because we use a revolutionary sever line inspection method to identify issues within your sewer system. 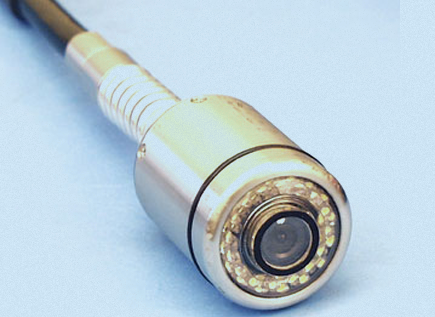 Specially designed waterproof video cameras are used in order to visually inspect the condition of your sewer lines and other lines linked with your sewer system. The engineers and plumbers who perform these visual inspections are well-trained and highly-experienced in their field. They are able to accurately diagnose every inch of your sewer system with minimal ease and time. This allows them to mark any existing or potential issues with pinpoint accuracy. The images relayed via the HD camera are saved on a storage device and are handed over to the homeowner for future record keeping. This takes the guess work out of the screen, and the sewer issues are resolved quickly and effectively! A number of issues/problems can arise in your sewer system, like root intrusions, broken pipes, cracked pipes, misaligned pipes, punctured pipes, corroded pipes, and clogged pipes. Even a slightest leak in your sewer system can cause havocs, as it can potentially damage the structural integrity of your building. By using these state-of-the-art camera systems, the Seattle Sewer Inspection professionals can accurately identify even the slightest leaks and breakages or see any grease buildups and obstructions within your sewer system. As a homeowner, it is actually a lifetime investment for you to get your home sewer inspected every year by the Emerald City Sewer Inspection team. The detailed video of your complete sewer system that you will get at the end of the inspection process can prove to be a real asset while selling your home. This is because you will have a solid prove to show to the potential buyers that your home sewer system is in prime working condition and there are no issues with it. You can also call your local Seattle Sewer Inspection team to help you find or locate the diamond ring or any other precious and valuable item that you think you have accidently dropped in the drain. By using HD video cameras, these highly skilled professionals will be able to not only locate and find your valuable jewelry but also rescue your little kitten or puppy who got trapped in a sewer pipe! Give us a call today to schedule your next sewer camera inspection and save you from those costly repairs and replacements of your sewer pipes. Check out an example video below which we can provide you for your own inspection too!